Springtime brings the world to NYC for a myriad of high profile events in art and design, NYCxDESIGN has become one of the premiere design weeks in the world. People-watching is at an intriguing height, just head to an outdoor cafe in Soho or walk The High Line where New Yorkers can be seen underclad in warm weather euphoria or clinging to boots in cynicism waiting for the thermometer to swing yet again. 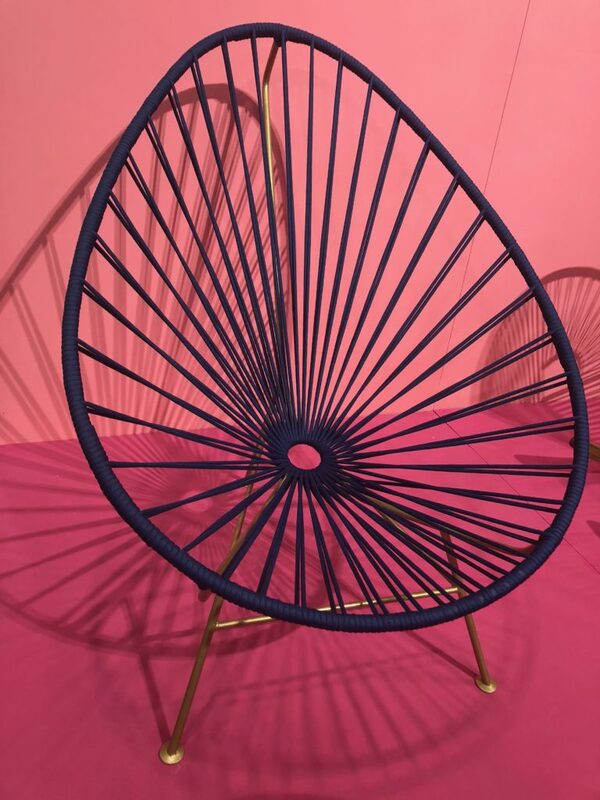 New York Design Week in May is anchored by the ICFF — International Contemporary Furniture Fair. 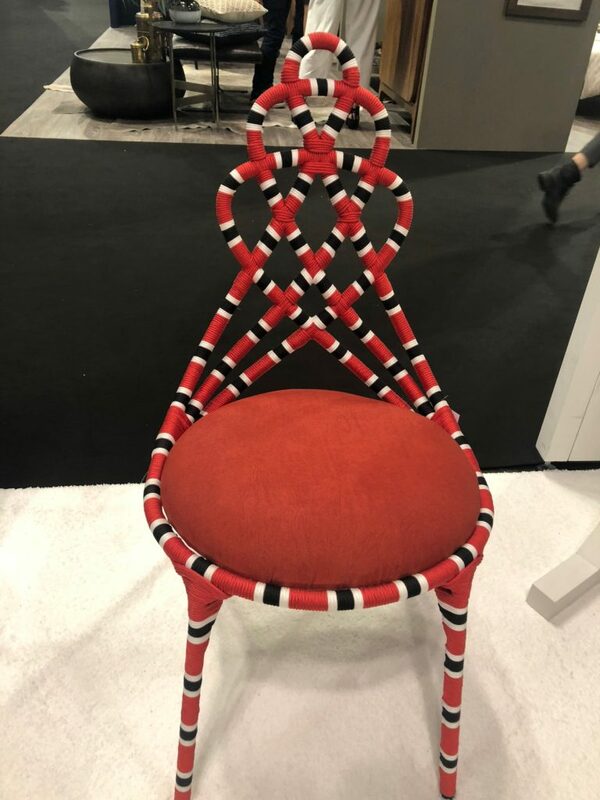 In its 30th edition, this year featured more than 900 international exhibitors showcasing modern design in furniture, flooring, lighting, textiles, wall coverings, accessories, and kitchen and bath for residential and commercial interiors. The new show on the scene since 2011 is WantedDesign hosting outposts in Manhattan at the Terminal Building and in Brooklyn at Industry City. WantedDesign has a reputation for hosting both innovative larger brands alongside emerging artists. I didn’t get the chance to visit the Brooklyn outpost but I have plenty to share from the Manhattan shows. 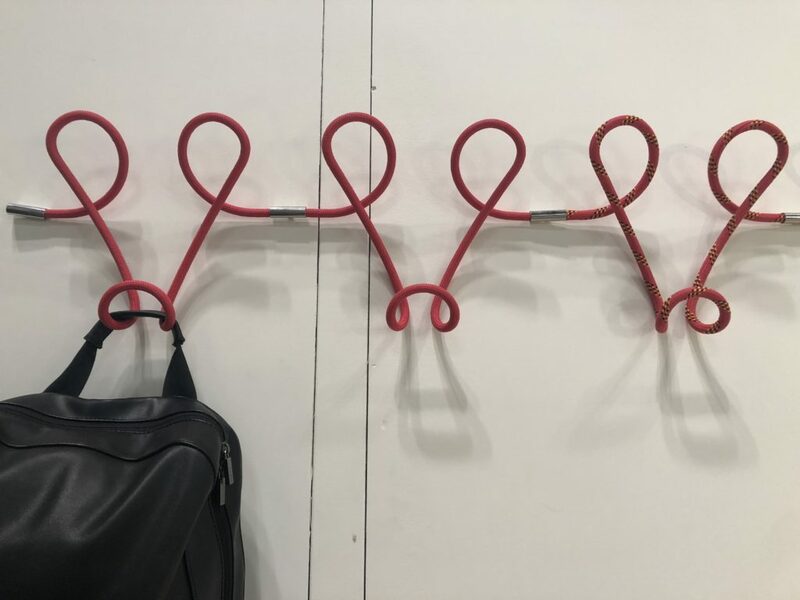 Always on the hunt for innovative fabrications, and trimmings, the use of CORDING jumped to my attention. 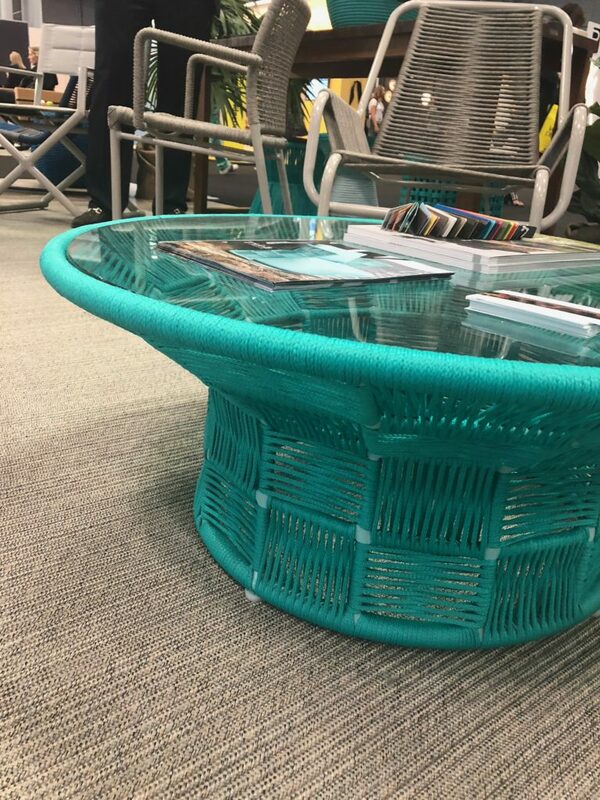 Growing up in California, I definitely remember this chair from my childhood and probably curled up in one while my parents socialized poolside. 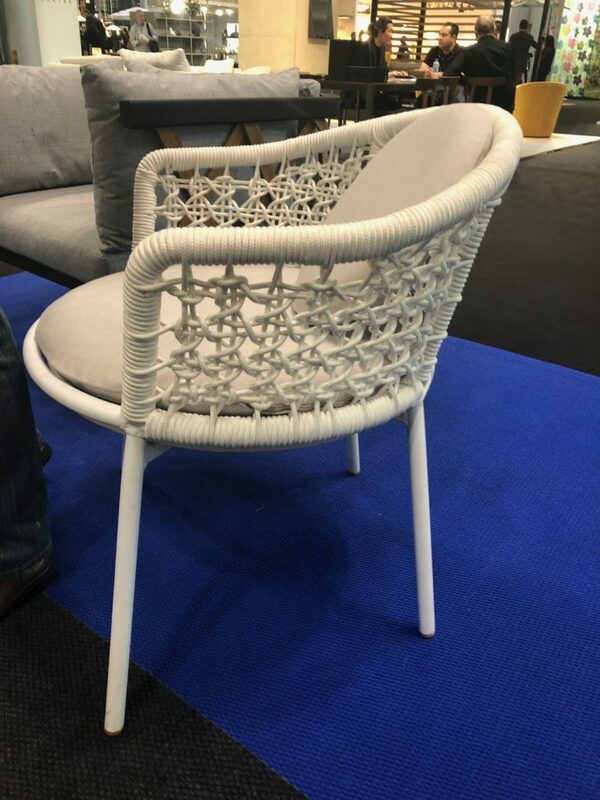 I was impressed with the diverse wrapping styles and macrame knotting incorporated into contemporary furniture making. It’s a stunning mix of “manus x machina”, hand and machine. Most of the cords used are woven cords and I love watching this machine in action at the factory, it’s mesmerizing like a Maypole and in essence operates like one. It weaves around a center filler, in and out like a figure 8, to create a tubular cording. 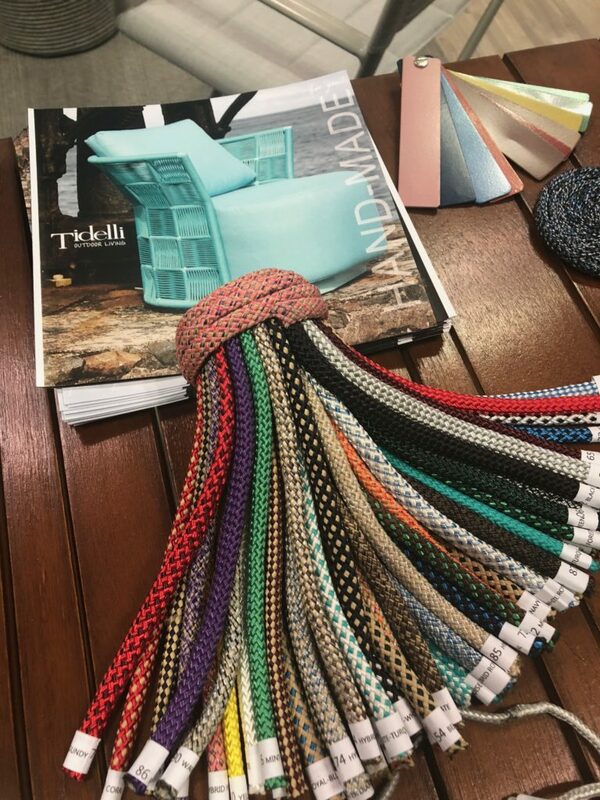 Tidelli uses industrial woven nautical rope to create luxury outdoor furniture. 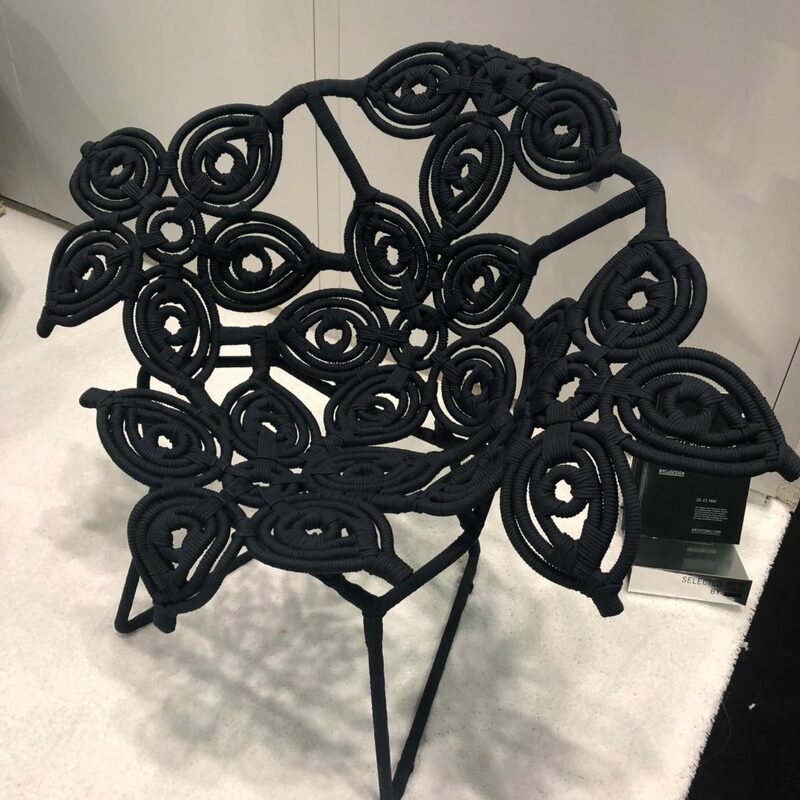 Award winning designer Sergio J. Matos explained that each piece he designs is a reflection of Brazilian culture — by his choice in color and materials, handcrafted techniques onto natural shapes inspired by growing up in the countryside. These pieces indeed have a folkloric yet modern story to tell. 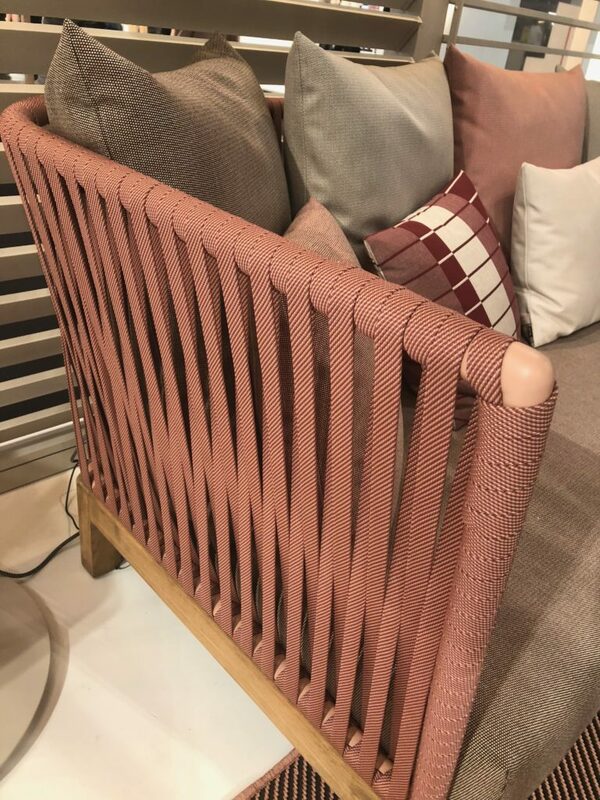 Mixing wood and cording wrapped so tightly that it resembles fabric yet still has that slightly “hammock” hand, Mexa Design introduced the Lewie collection, a collaboration with Mermelada Estudio. It is fabricated entirely by hand in Mexico with local materials by metal, weaving and wood artisans. 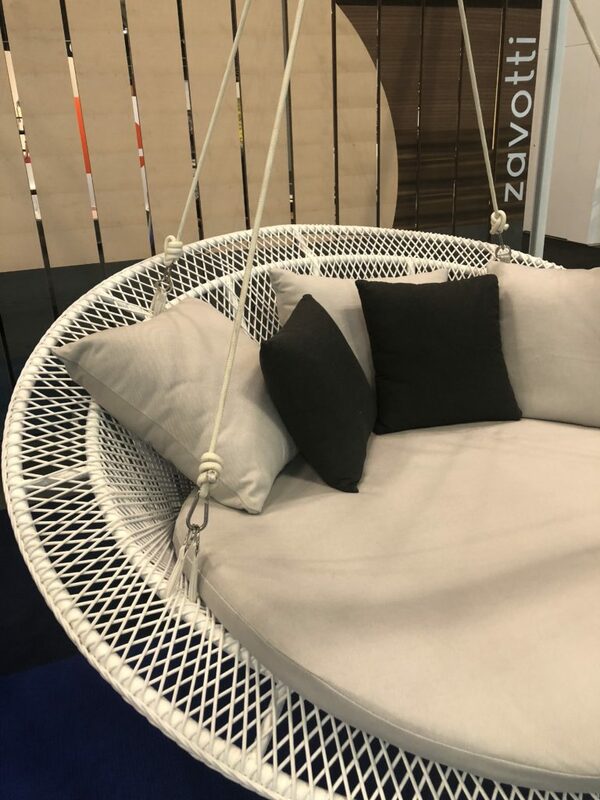 With the tagline “Mexico meets Scandinavia” Zavotti marries the Mexican tradition of making furniture using “what you got” with a minimalistic design. 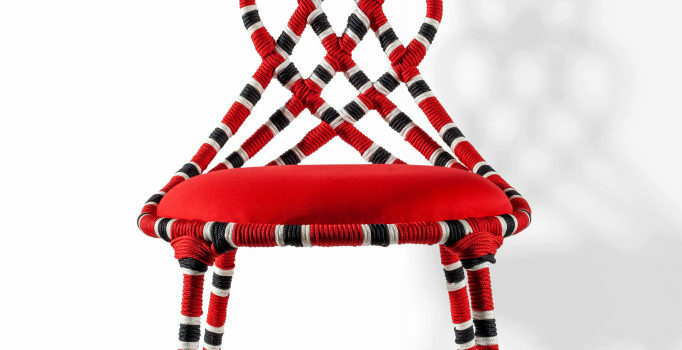 I thought the Caletta Armchair had the illusion of knotting although it is woven. 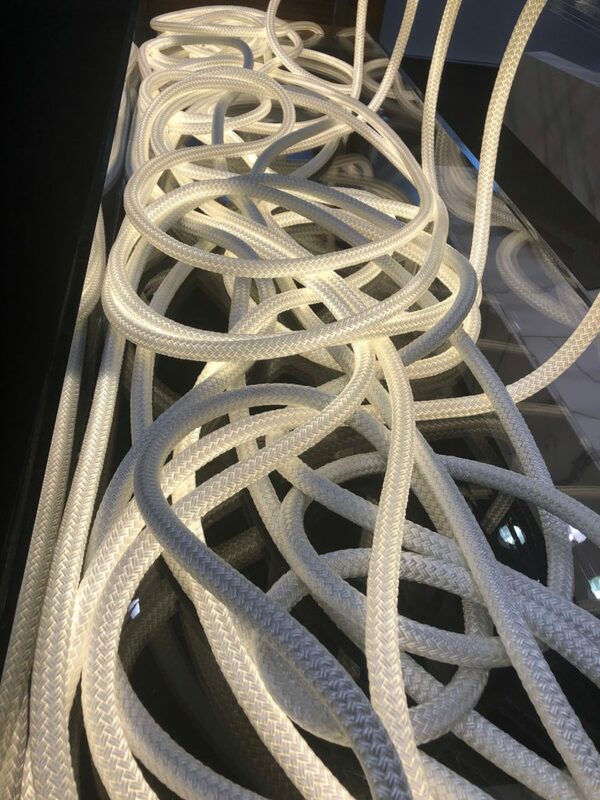 The white polyester rope can go indoor or outdoor. Faro Design used interlocking cord-covered wire to create a clever hook system. You could connect as many as you want across a space. Another Brazilian company showcasing innovation. The luxury brand Kettal from Barcelona recently opened a showroom in the D&D Building in Manhattan. 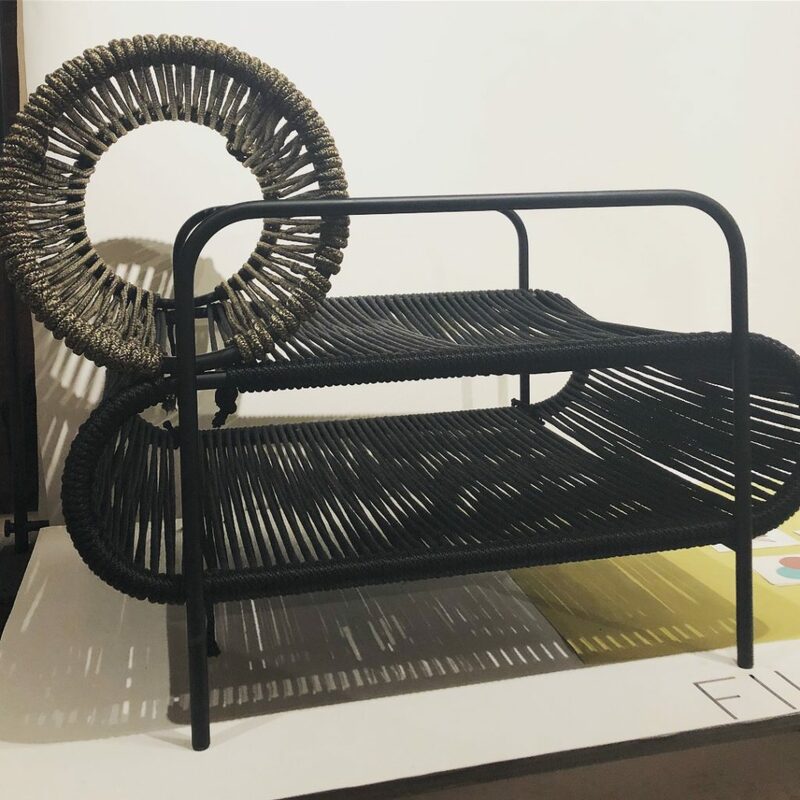 The Cala collection (right) by London-based duo Doshi Levien uses teak wood with woven cord wrapped for a lattice effect. It creates an openness of positive vs. negative space while remaining a very sturdy piece. Rodolfo Dordoni’s Bitta Collection uses a flat woven braid to construct the sides of this three seater sofa at left. 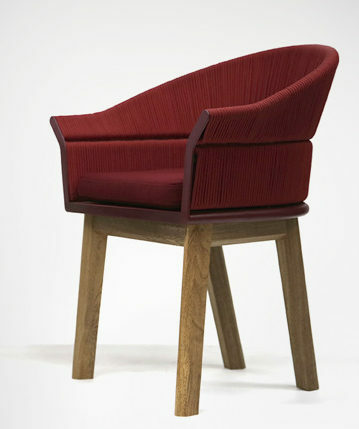 The wood base peeks through which gives a nod to the handwork involved. I met Brazilian-born New Yorker Filipe Ramos at the Launch Pad of WantedDesign where new designers are showcased. 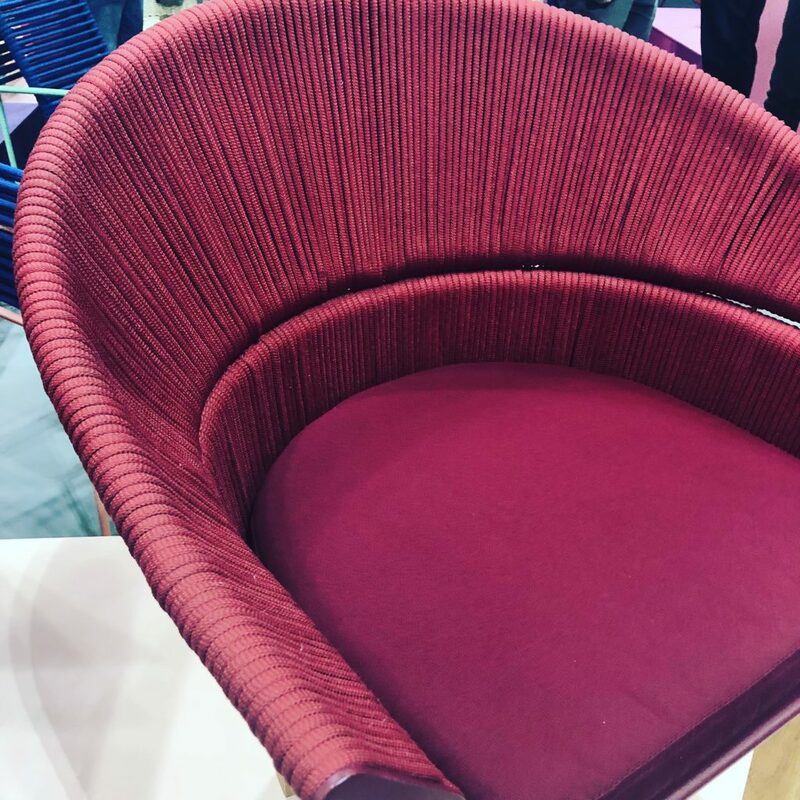 He let me sit in his ELO Armchair while he explained his design and his vision. 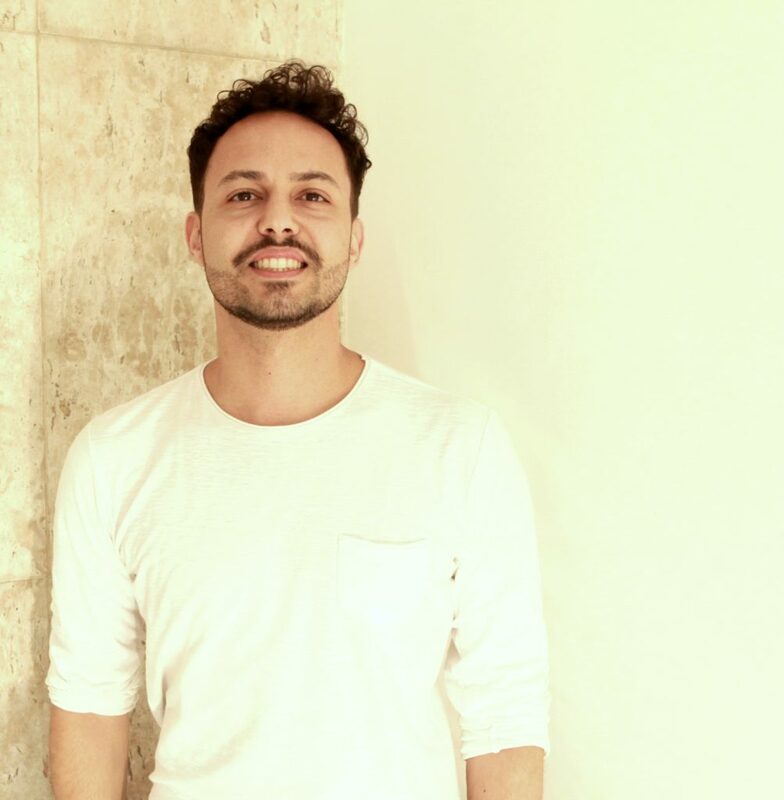 Filipe is trained as an architect and interior designer and uses product design as a way he can express himself on a smaller scale, in a self-financed project. (Perhaps this is why so many designers get into product as well.) This chair was a study of supporting the body suspended by cords. In comparison to this technique throughout the day, his execution had additional consideration of storage space below the seat and I must confer that the comfort was perfection. 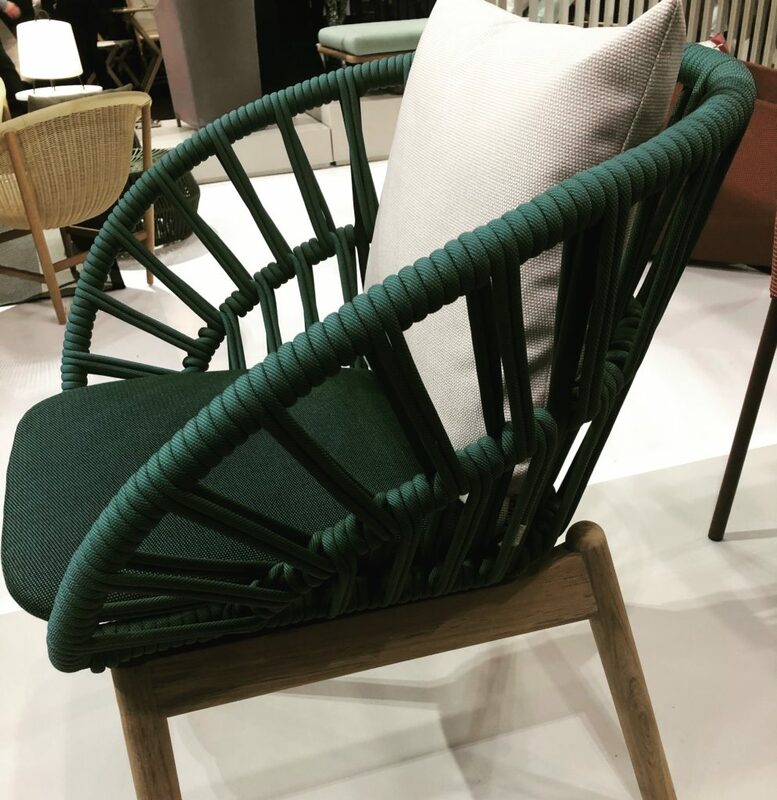 An ideal outdoor lounging piece that’s beautiful to look at too. Meeting the Luke Lamp Co at ICFF was thrilling because it is in my backyard in Westchester County. Luke has a great story of stumbling into business rewiring industrial materials into lighting. First creating with rope, now the company designed this brilliant flexible lighting Aura Collection. 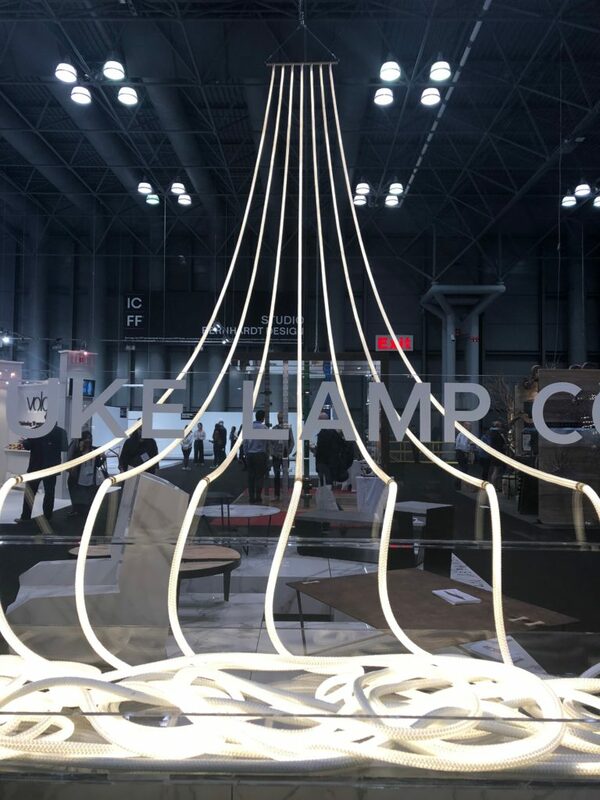 Glowing tubes cascaded from the ceiling of the Javits, pooling into a beautiful knot of braid light from within. Check out their gallery to see the amazing projects they create with interior designers. 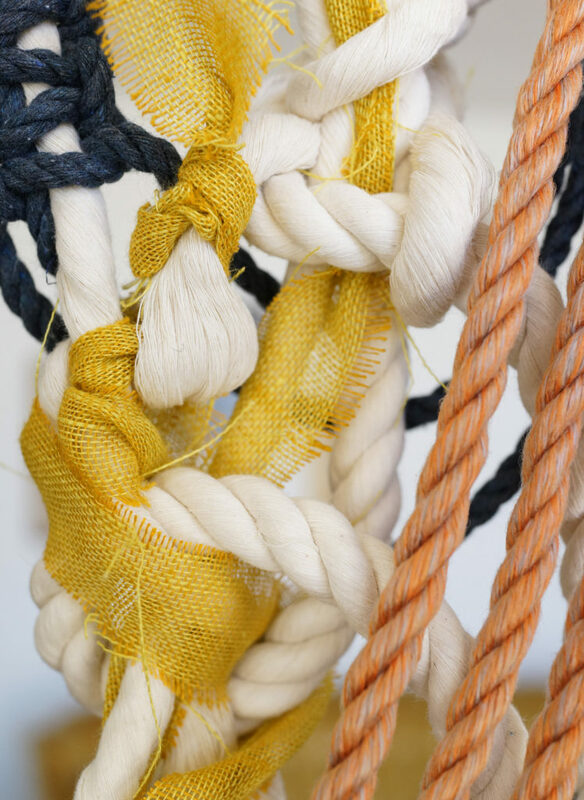 Two sculptors working with rope and fibers exhibited exquisite work at the ICFF. 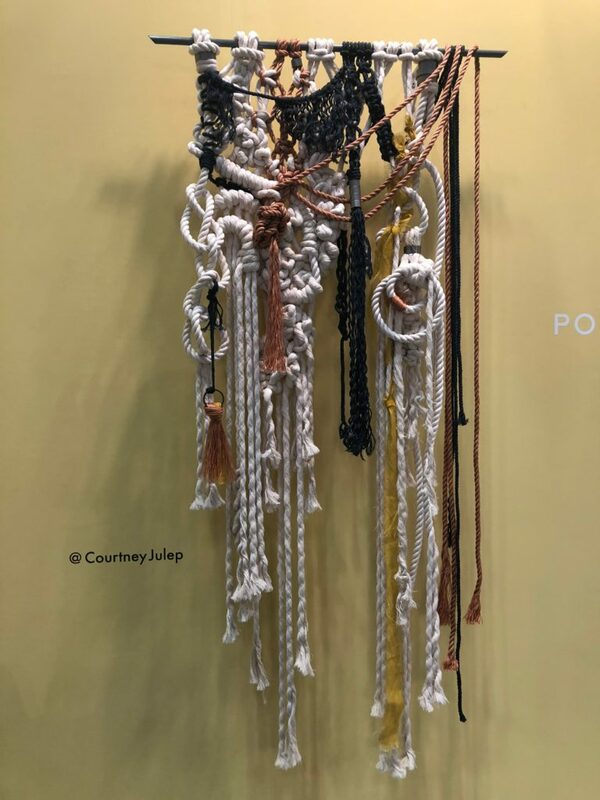 Los Angeles based Courtney Julep mixed twisted cord with textiles and yarn creating Old Coyote, a stunning work in person. Manhattan artist Susan Beallor-Snyder was a classical goldsmith before turning her attention to large-scale sculpture. 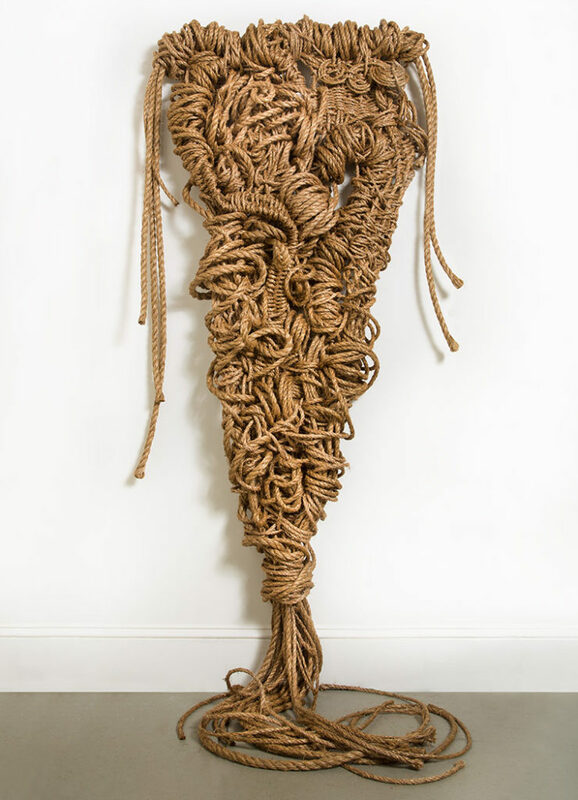 Her medium of choice is sustainable natural rope from the Philippines. 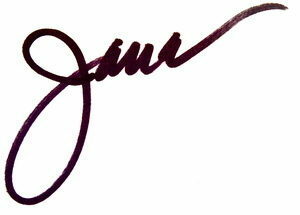 She creates for residential, corporate and commercial projects. Beyond the innovative product to see, there are seminars and panel discussions at both ICFF and WantedDesign that tackle up-to-the-minute design topics. 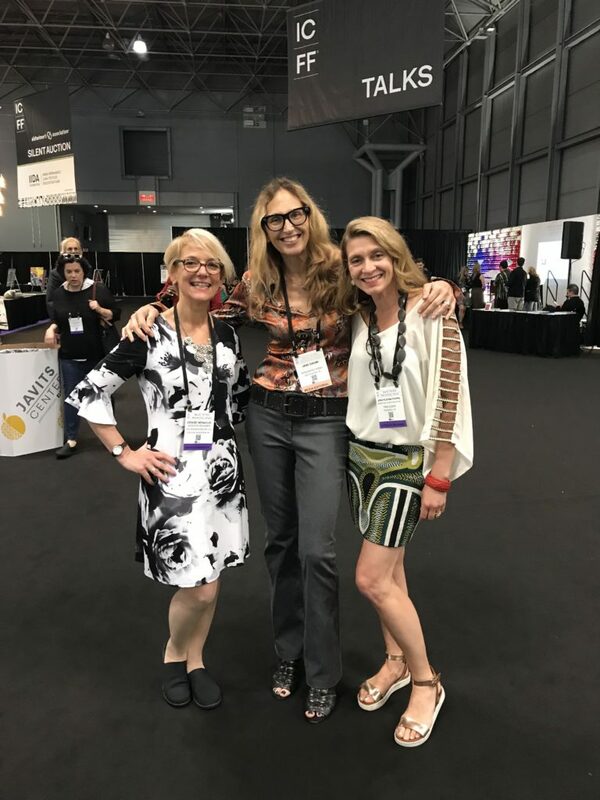 Editor Jane Dagmi of Designers Today, Denise Wenacur of DW Design & Decor and I sat in on the intriguing panel discussion at ICFF Talks: Looks Matter! 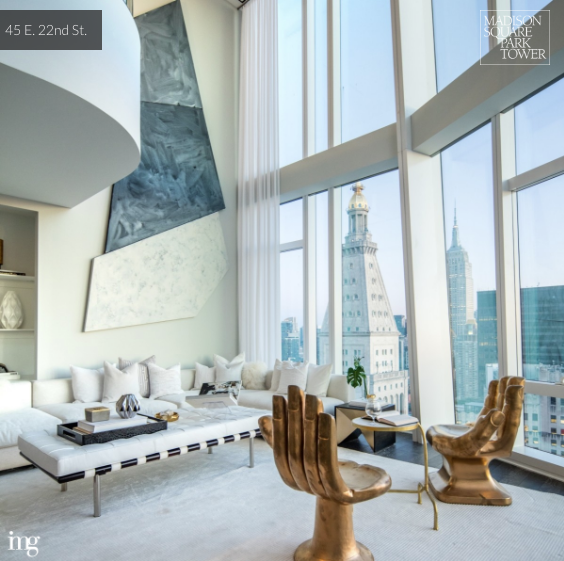 The powerful role decor plays in the real estate market moderated by Cheryl Eisen, founder and CEO of Interior Marketing Group, a premier staging company for luxury real estate. With photography and discussion with panelists and clients David Juracich, Daniel Parker, and Dan Gomes, Cheryl illustrated over and over again the power of design used in staging, different from residential interior design, that enhances photography and client experience in buying properties. The panel discussed and showed the proven results of going neutral in color scheme for the broadest market appeal while branding an identity for the property. It was fascinating and poignant since I am putting my color-infused home on the market shortly! Well Fringe Friends, I hope you enjoyed reading this installment of the TQ Chronicles and have come away with some new design knowledge. 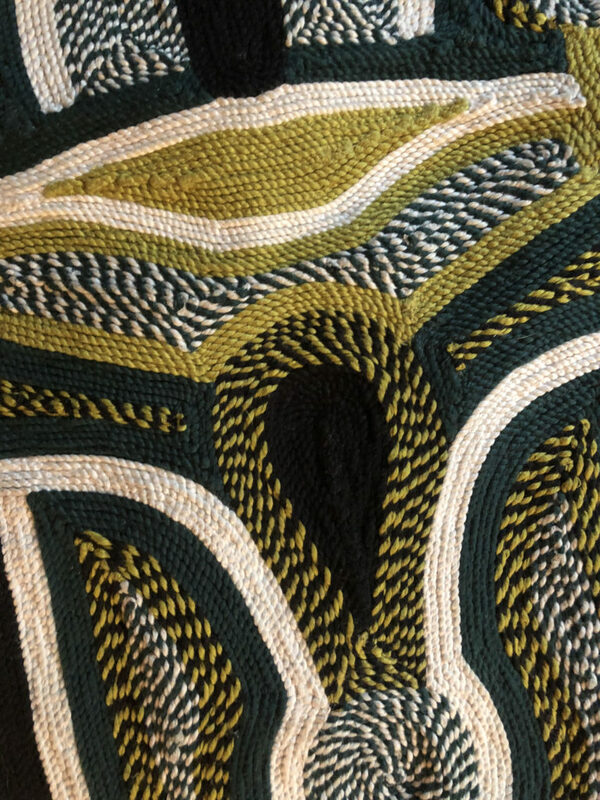 I hope you will never look at cording the same way again — which will, in fact, make you an official TRIMSPOTTER of modern embellishment. Thanks for reading and connecting and sharing on social, it fuels my creativity. My skirt just happens to be made of cording too!